Jensen, a 22-year Federal Bureau of Investigation leader, served as a field agent, a forensic examiner/cryptanalyst, and a supervisory special agent in the Behavioral Science Unit, teaching law enforcement officers about violent serial offenders. He was also the lead instructor for the FBI National Academy’s terrorism course. Jensen, a Navy veteran, joined the RAND Corporation as a senior behavioral scientist after retiring from the FBI, later becoming a tenured professor at the University of Mississippi where he started a center for intelligence and security studies. Jensen joined The Citadel in 2015. “The Citadel has educated principled leaders for intelligence work for decades. For example, in 2016, 13 graduating cadets joined the FBI in some capacity. 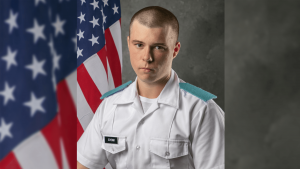 Numerous cadets graduate to become officers in intelligence sections of U.S. military service annually. Our new programs are a reflection of the need to adapt to meet future demands,” Jensen added. Since 9/11, federal security jobs grew by 377 percent. Current Bureau of Labor statistics on protective service occupations in South Carolina indicate that there are currently 46,240 positions in the state, and in 2013, there were more than 3,500 defense contractors operating in the state which were awarded almost $3.5 million in funding. The undergraduate students select one area of concentration to include military intelligence, counterterrorism, Chinese area studies, business intelligence or general intelligence. The core curriculum includes an introduction to ethical principles in collection and analysis, with ethics integration throughout the program. Graduates will be prepared for analytic, operational, research and investigative national security and intelligence positions in military, governmental agency and private sector operations. Additionally, the program requires a course in cybersecurity. The Citadel has been designated a National Center of Academic Excellence in Cyber Defense Education by the Department of Homeland Security and National Security Agency. 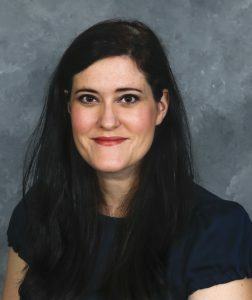 Jensen and Brady are joined by Melissa Graves, Ph.D., a professor of criminal justice, and attorney, whose intelligence research includes the U.S. presidency’s relationships with the intelligence community, and intelligence analysis. Her courses will center on intelligence analysis and legal issues. 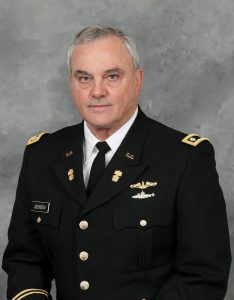 Graves joined The Citadel in 2016.